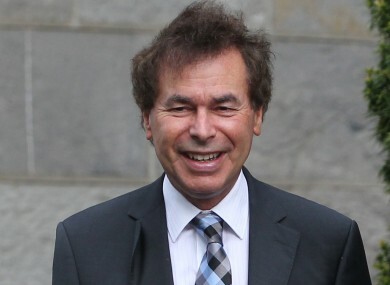 ALAN SHATTER’S OFFICE has remained tight lipped on whether he will be accepting €70,282 worth of severance payments. Having served more than two years in office, the former Minister for Justice is entitled to full rate of these payments. Government guidelines caps this at one year’s ministerial salary – excluding his salary as a TD – spread across two years, paid at decreasing rates. He could receive roughly €4,392 every month for six months. After this, the rate decreases to €2,928 for 12 months, and finally €1,464 for six months. However, Shatter has not responded to requests for comment from TheJournal.ie on whether he will be taking up this optional payment. Shatter is also entitled to a pension worth €18,139 from just his Ministerial service, payable from when he reaches pensionable age. Former Junior Minister Róisín Shortall was entitled to €33,100 in severance payments after she resigned from her position in September 2012. However, she declined to accept the payments. This article was updated to clarify that severance payments are calculated on ministerial salary alone, excluding the additional TD salary. Additional attempts have been made to clarify whether Alan Shatter will be accepting these payments. Email “How much are Alan Shatter's pension and severance payments worth?”. Feedback on “How much are Alan Shatter's pension and severance payments worth?”.